The DL team left Las Vegas Friday afternoon, after a week long journey from press room to convention center to booth to party to bed to everything all over again. 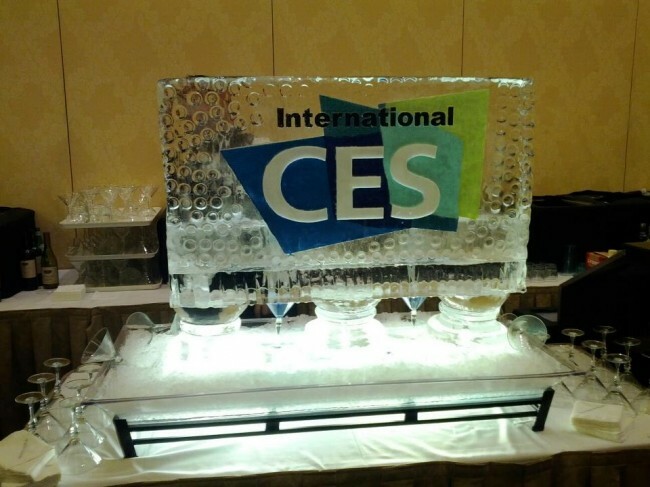 It was the Consumer Electronics Show (CES) in case you were wondering – a gathering of 140,000+ tech industry players, that happens every year in the desert. It’s a time for companies to tell the world what they have in store for the coming year. Some of it “wows!” while most of it leaves you wondering why on Earth anyone would ever need such a product. This year, we had had one from that first category, followed by a bunch of stuff that a few may need, and most may never lose any sleep over not having. During NVIDIA’s press event last Monday, they invited Asus onto the stage to unveil a new product called the Memo 370T. What could be so special about another 7″ Android tablet? Well, it just so happens to have NVIDIA’s new Tegra 3 quad-core processor on the inside, an IPS display, 1GB of RAM, 16GB of internal storage, an HDMI port, rear camera, and weighs next to nothing. Again, you ask, “Why do we care?” Because Asus plans to introduce this tablet at $249. In an era where tablet manufacturers think that they can’t succeed unless they tie their products to carriers and paste ridiculously high prices onto them, Asus is going to prove them all wrong. The name may be unofficial, along with the final build, but all signs point to this puppy landing in Q2 of this year. Dear Motorola and Samsung, please take note. 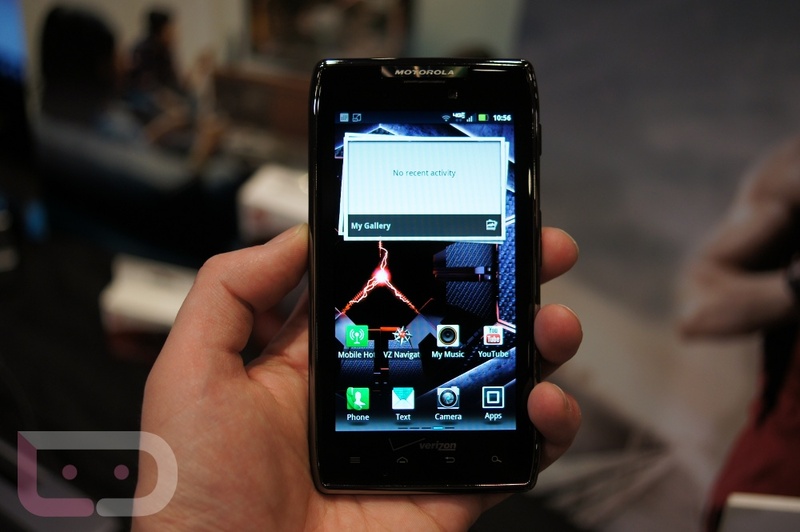 At a CES filled with a handful of phones that failed to surprise or blow anyone away, there was one that stood out above them all and that was the DROID RAZR MAXX (our hands-on) by Motorola. Sure, it runs Blur, has a locked bootloader, and looks identical to the RAZR that was released only a few weeks ago, but the highlight here is the battery. Motorola packed in a 3300mAh battery into this device, yet managed to keep it under 9mm in thickness. For reference, you can’t even buy a 3300mAh battery as an extended for most phones. And while most of us that picked up the original RAZR feel completely insulted by this release and like we deserve an apology or the opportunity to trade ours in for this battery beast, we can still admit that this device is impressive. After the Memo 370T and the RAZR MAXX, we were left with a whole bunch of products that looked nice and will likely perform at top tier levels, only none of them broke new ground on any front. 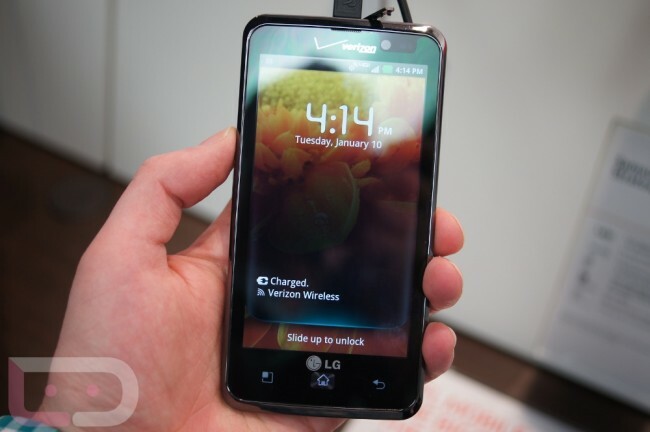 We had the LG Spectrum (our hands-on) and its 4.5″ IPS HD display, dual-core processor, and wallet-friendly $199 price. On paper this phone would have made the world drool in 2011. Heading into 2012 though, it just feels like another skinned dual-core LTE device that isn’t running Ice Cream Sandwich. Followed by the Spectrum, we had a couple of additions to the DROID lineup thanks to Motorola. The first is a purple version of the RAZR (gallery) that is identical to the original RAZR, only it has a purple exterior. Nothing you haven’t seen before. Moto also introduced the DROID 4 (our hands-on) though, as the world’s thinnest 4G LTE slider. We know that many of you have been waiting almost 2 years for this device, but after just a few minutes with it, we came away feeling on the fence. Sure it’s nice to have a dual-core processor, keyboard and LTE in one package, however, it just feel like it needed a little something extra. Then we had the Samsung Galaxy Tab 7.7 LTE (our hands-on), which for the most part, is one of the more impressive tablets we have seen to date. It is incredibly thin, has a 1.4GHz dual-core processor, vibrant Super AMOLED Plus screen, and dual cameras. The only thing not “wowing” us with this new Tab, is the fact that it is tied to a carrier which likely means a bloated, sky-high price tag on a 2-year contract. This is another of those that we hope goes WiFi-only in the near future. Asus may have stolen the show with their 7″ quad-core tablet, but they certainly pissed off every single new Transformer Prime owner when they announced an upgraded model that has fully working GPS and WiFi. Petitions, social attacks and all of that fun is already under way. Acer announced their first quad-core tablet which should drop at a reasonable price, that is if they follow their original Iconia Tab model. Toshiba unveiled their 2012 lineup of tablets in a variety of sizes including a 13.3-inch behemoth. Their Excite X10, which will be the first of them all to hit stores, currently holds the title of “world’s thinnest tablet.” Overall, we liked what we saw from Toshiba, but again, we kept waiting to be blown away by some ground-breaking new tech. You can view our quick write-up on their tablets here. Fujitsu had the world’s first Tegra 3 on display, only it was locked up tight behind a box as a “prototype.” There is an above average chance that we will see it at Mobile World Congress (MWC) next month in a more finalized state, but at CES, it was tough to really have any strong impressions of it one way or another. 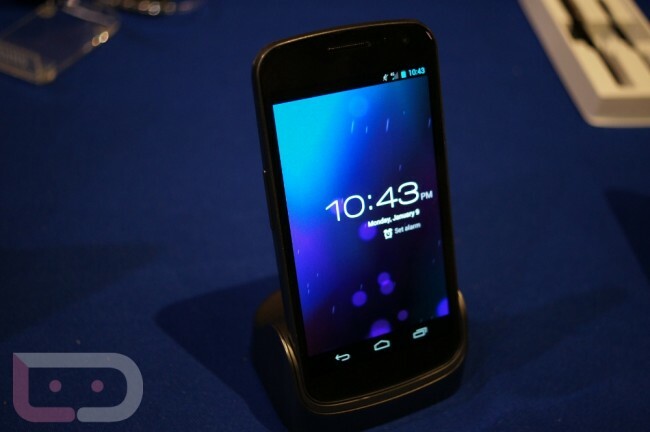 We got our hands on the Galaxy Nexus portrait dock while hangin’ with Samsung. Unfortunately, they could not give us a date as to when it would be released. We handed them our contact info and they hit us back by the end of the week with a “it should be available now at the Samsung store.” Of course, we all know that not to be the case. Motorola announced that it would release far fewer phones this year and focus more on marketing better products. They also announced a new multi-year partnership with Intel to be able to include their Atom processors in Moto phones. The jury is still out on whether or not this means much, but I think we all know the history of Intel and the fact that this could be a game changer down the road. And speaking of Intel, we went hands-on with their “Medfield” developer phone. It was nice, for a developer kit. The folks at I’m Watch finally showed off their Android watch product – we were not all that impressed. Being Italian, it had plenty of style. Other than style though, it lacked any sort of speed or OS polish and was a lag monster. Gorilla Glass 2’s strength was put on display. We captured the demo on video. Two booth girls from Wicked Audio nabbed us to try and sell us on the quality of their headphones when compared to Skull Candy’s. It took me an extra listen before I could tell the difference during their blind sound test, but Tato got it wrong. Boy was that booth girl not happy with him. The number of times you get run into at CES by people walking with their head down, staring at their smartphone is uncountable. Justin Bieber made an appearance, and we ran into a couple of our fellow industry personalities who were ecstatic about the news, even bragging about getting pictures with him. We will do our best to keep their names from this post. Love you guys! Say Media threw one of the better parties of the week at the Mirage’s 1Oak nightclub, even introducing an indie band named GIVERS. As a predominantly older crowd, their 5 song encore was not exactly accepted by the entire room. While there were no boos, calls for the DJ to return could be heard in dark corners…or just next to us at the bar. Dear dueling pianists at the Palazzo, talking trash to the tiny crowd because they aren’t digging your rendition of Katy’s Perry’s “Fireworks” is not going to fill that tip jar. 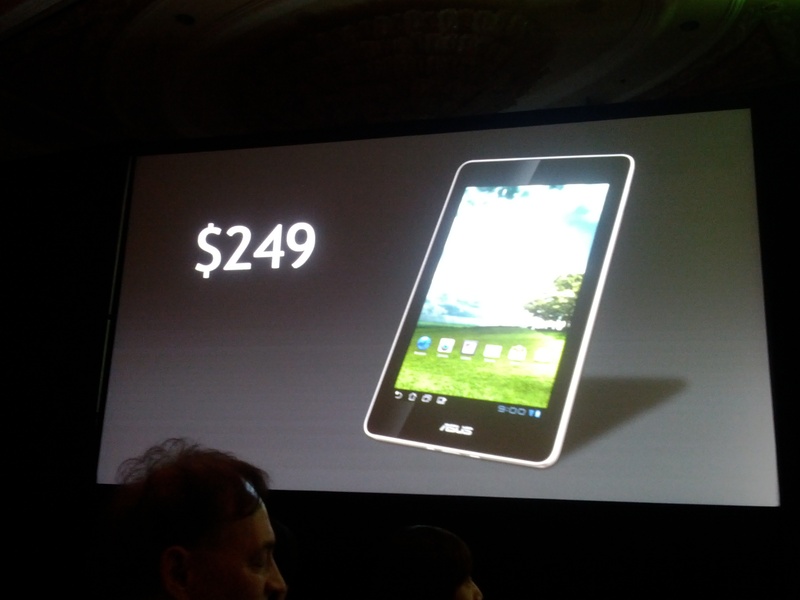 Again, the star of the show was clearly the Asus $250 tablet. We talked about it constantly throughout most of the week. After that, we saw a handful of nice products that will likely never create as much buzz as I think these companies think they will. Most of our focus is now on MWC in February, where the world will focus all of their attention on Samsung and the possible unveiling of the Galaxy SIII. Also, a number of companies kept asking us if were going to be at MWC as they had saved some of their spice for it. So overall, CES 2012 was another fun time as a tech geek, but it just didn’t have the same buzz as 2011 where we saw LTE, dual-core processors, Honeycomb, Android tablets and so much more for the first time. Here’s to hoping MWC brings it. Asus Facebook: Original Transformer Ice Cream Sandwich Update in the "Process of Being Approved by Google"